Many would be shocked to read that, according to the U.S. Census, only about half of all custodial parents have legal or informal child support arrangements, and less than half of these parents with arrangements actually received full payments in 2011. Yet, regardless of whether there are arrangements in place, it is common sense that children with more—rather than less—financial support–have a better chance at thriving. This is an important consideration for families dealing with separation, divorce, and child custody. In Florida, it is the law that every child has a right to financial support until at least age 18. The law actually requires that employers deduct support payments from the noncustodial parent’s paycheck. Not only does every employer report on employees to the DOR, but Florida shares this information in order to track noncustodial parents down. When parents fail to pay, the state Department of Revenue (DOR) locates the parents and enforces support orders (sometimes even resorting to obtaining arrest warrants). The state also has the right to suspend someone’s driver’s, hunting, and/or fishing license, as well as intercept their tax refunds, lottery winnings, unemployment, and other payments. It can even deduct money directly from bank accounts and place liens against property (such as homes or cars) for payment of past-due support. In fact, the Child Support Enforcement Program can ask that a judge hold the noncustodial parent in contempt of court, and the court can issue an arrest warrant, whereby the parent can be arrested at home or work, and even serve jail time and/or pay significant fines. While many parents realize that, if they pay child support, they can file for a modification if their employment circumstances change, it is also important to note that parents who receive child support payments may also file for a modification if their circumstances change. However, sometimes this is easier said than done: approaching your child’s parent about modifications can be scary. And in many situations, the way that you approach the conversation largely determines the outcome. Some parents may find that mediating this issue can be more beneficial than deciding to litigate, should problems arise, particularly if cost is of concern. Figuring out child support payments can be difficult without the assistance of someone who understands the system and can help you plan for any surprises down the road. 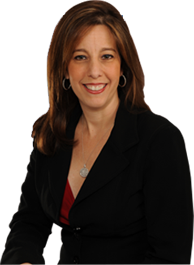 If you need assistance with enforcing or defending a child support order in Florida, please contact Sandra Bonfiglio, P.A. to discuss your options. Our office in Fort Lauderdale has helped many parents collect unpaid support for their children.